The latest documentation can be found in the User Manual here. Please use this forum thread to post any issues. Read the issues already raised and only post if the issue you have found hasn’t been raised. This will help Steve in his development. Further development information can be found on the forum. 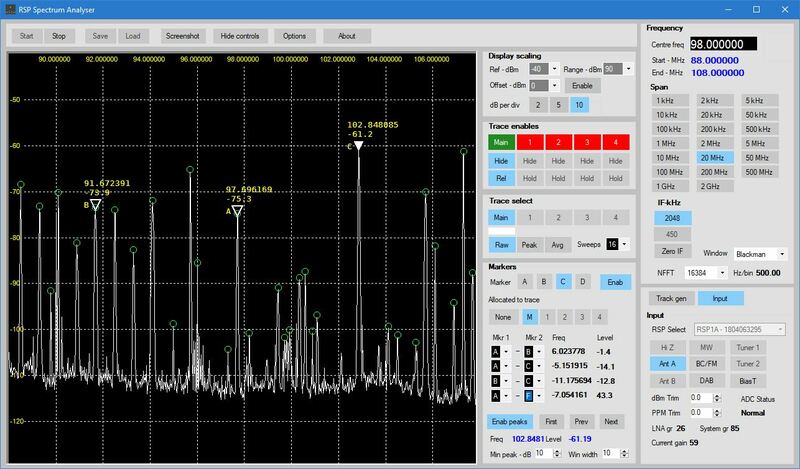 Click here to download the Spectrum Analyser Software (v1.0a Alpha release).